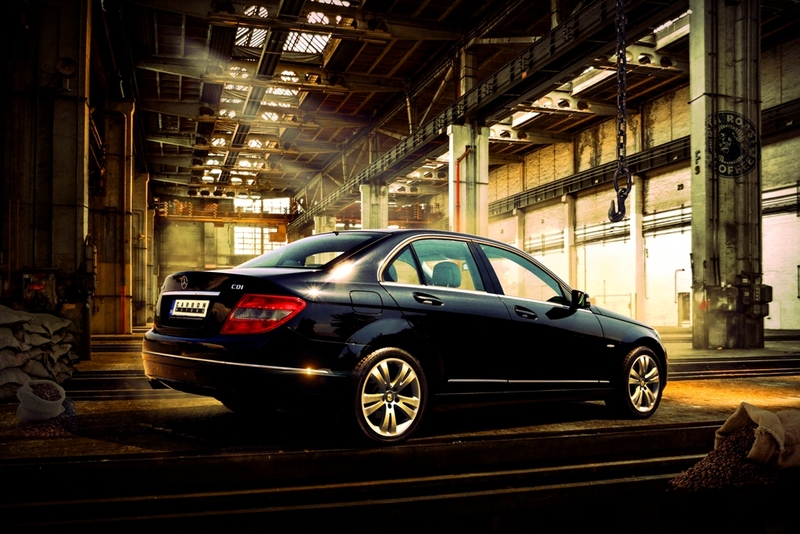 In 2007 when it was first announced the Mercedes C-class W204 was quickly named ‘the small S-class’. 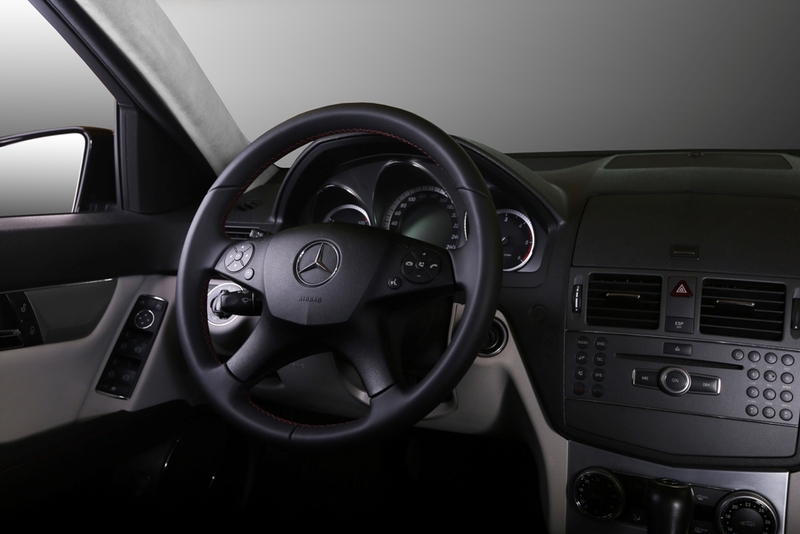 That included details like lacquer on the buttons in the cabin that was infused with ceramic particles to bring extra scratch resistance and touch satisfaction or infotainment system with a hard drive. 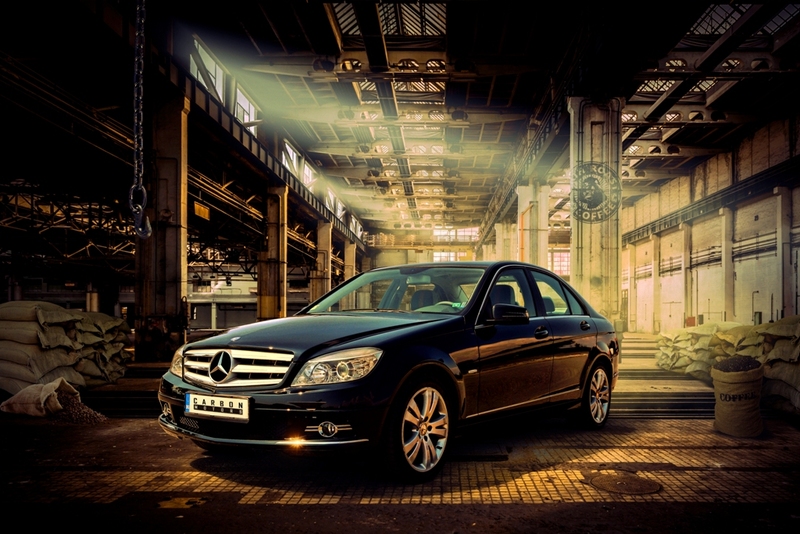 Mercedes spent 5 years in developing the W204 generation of C-class Merc to meet the expected feel of solidity. 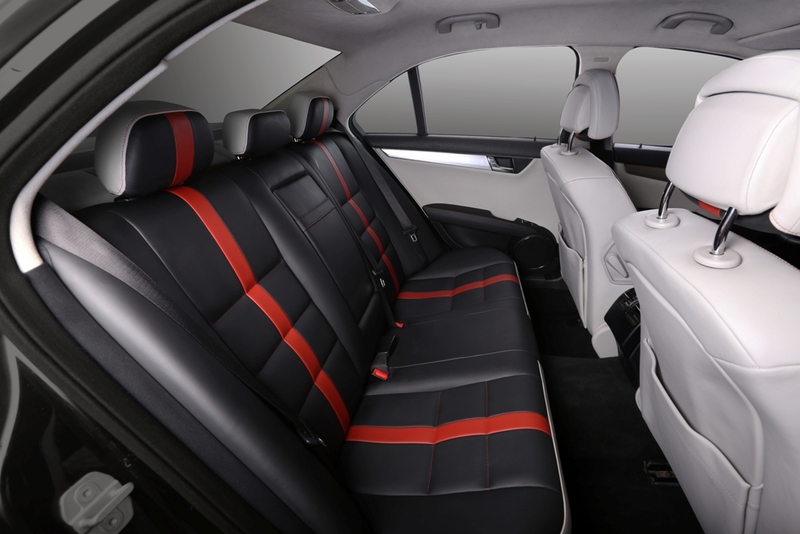 9 years after, Carbon Motors adapter the perception of what entry-level luxury cabin should look like. 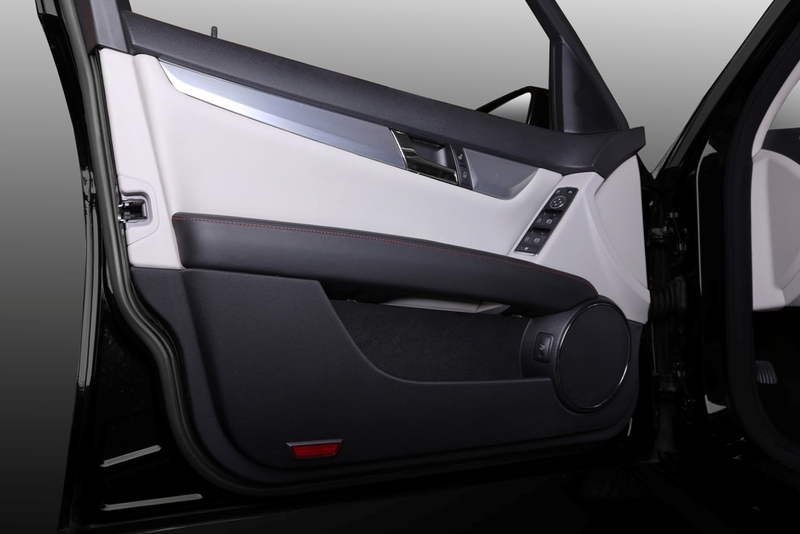 Similar to other projects, the process started with custom design sketch that our in-house design team prepared. 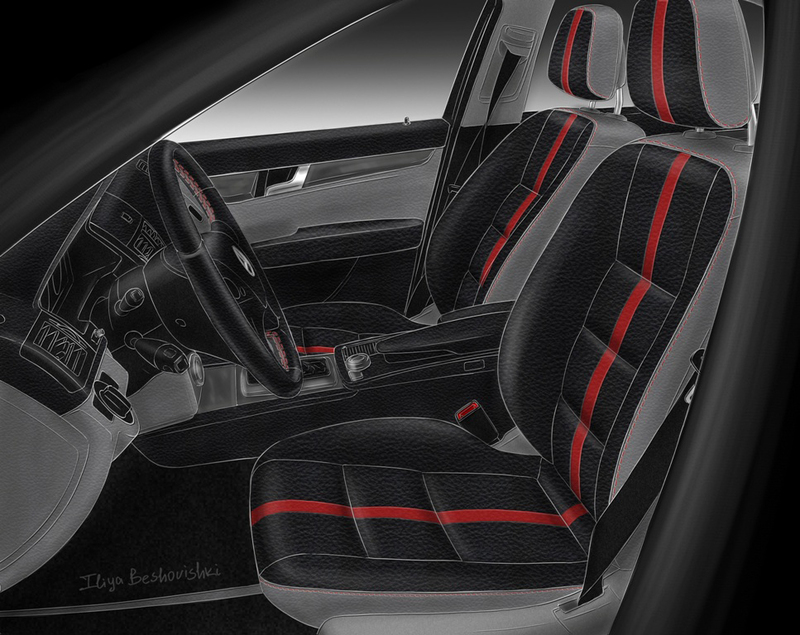 The seats are now in black and grey leather. 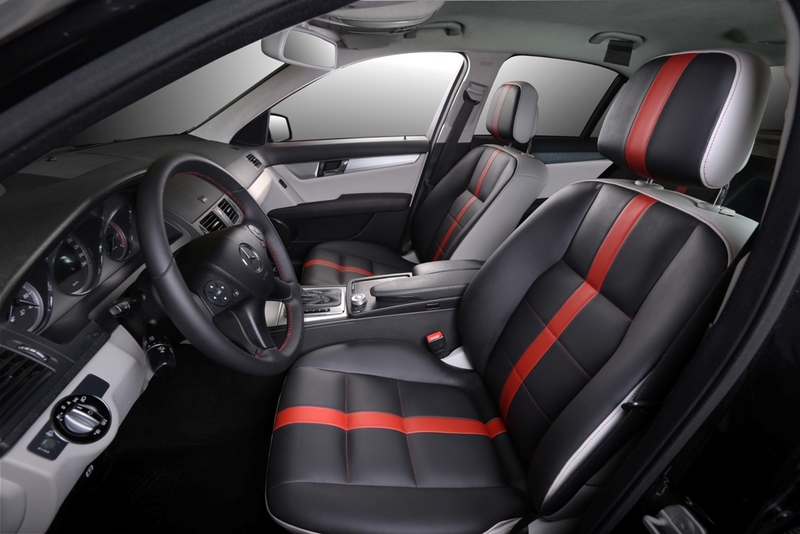 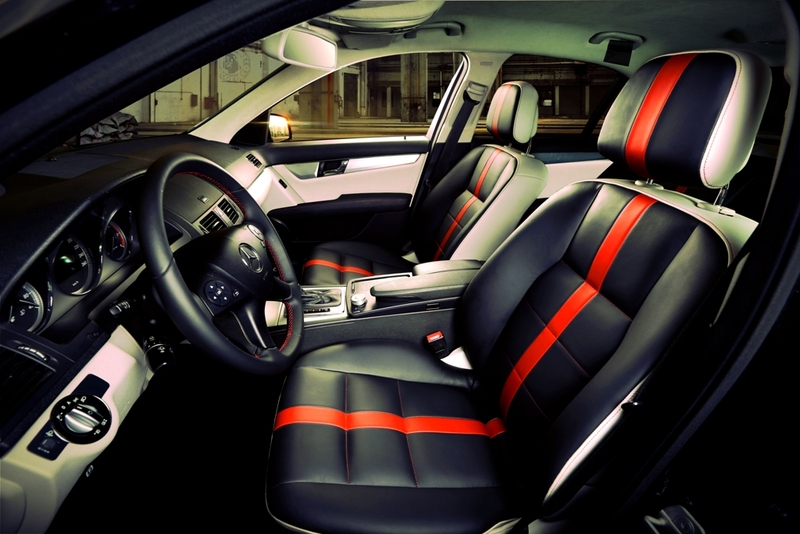 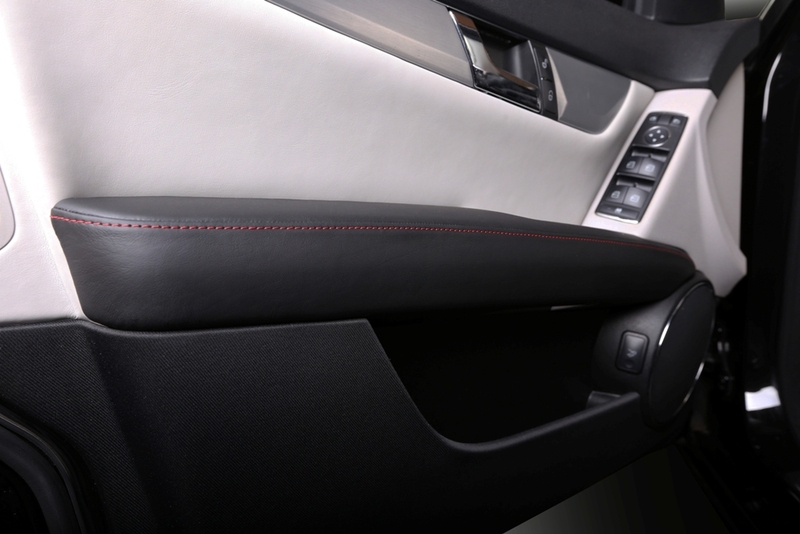 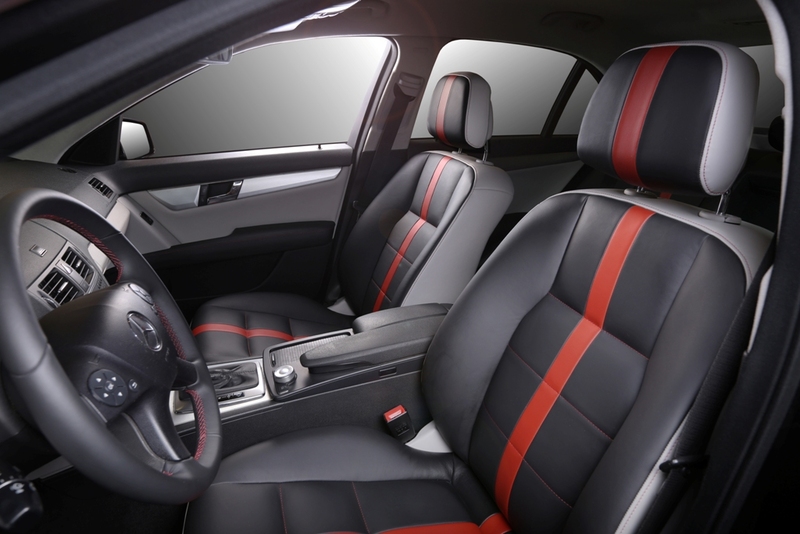 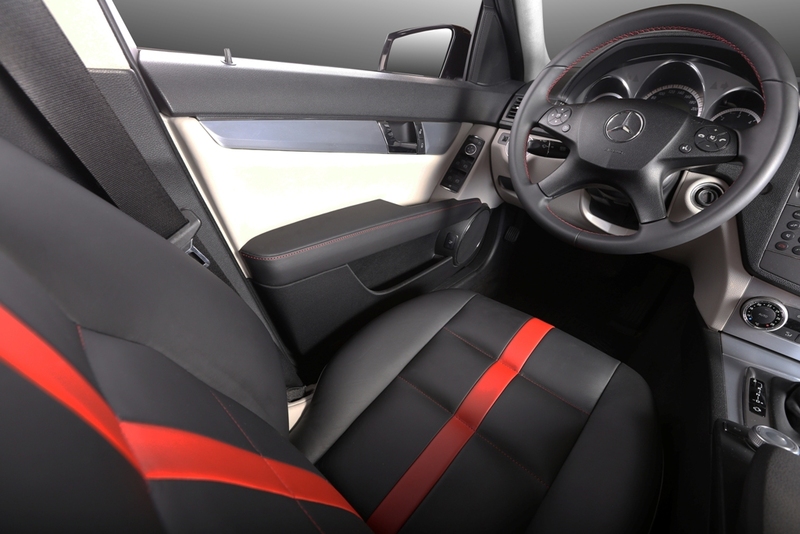 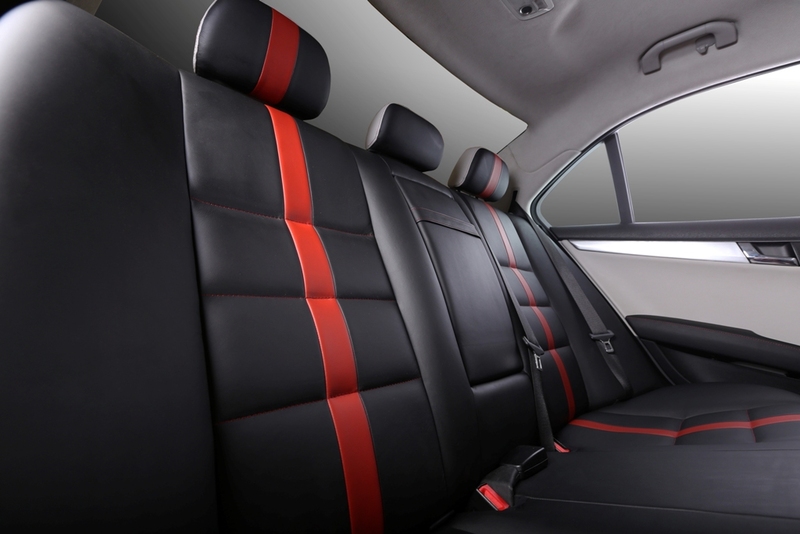 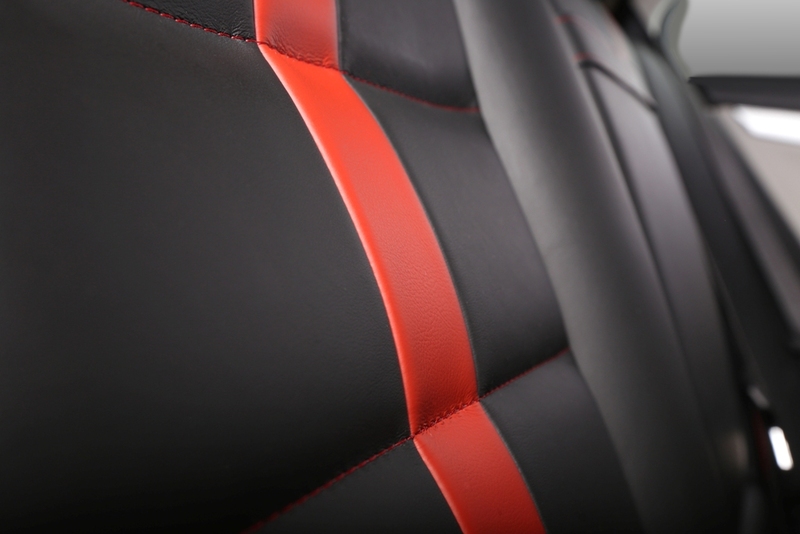 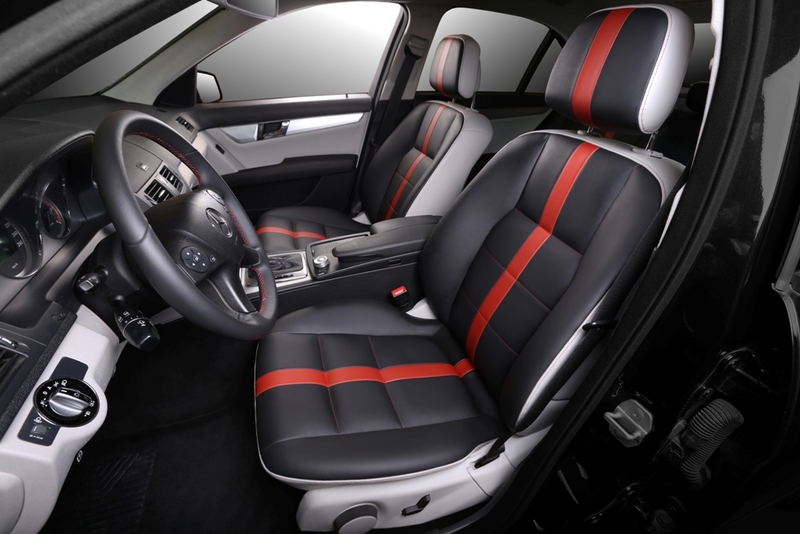 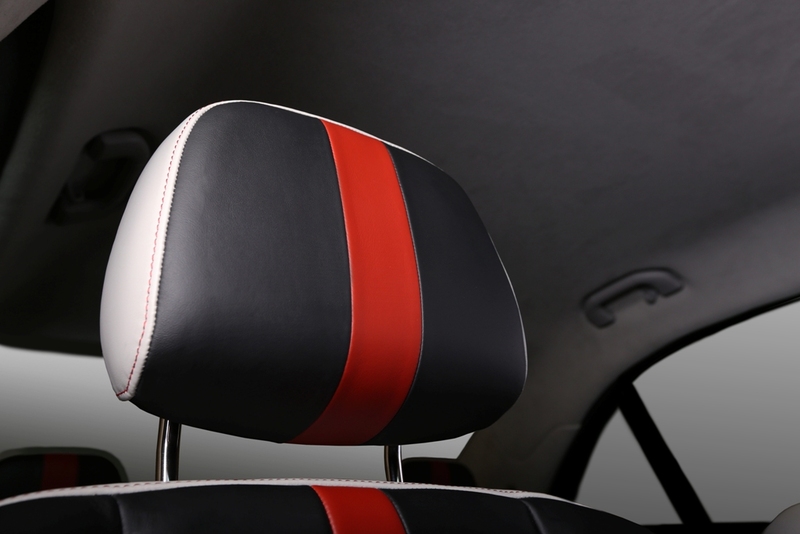 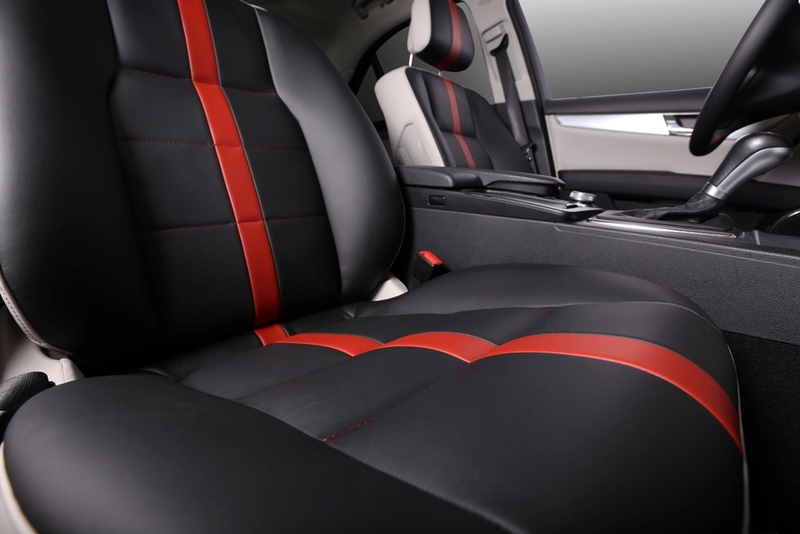 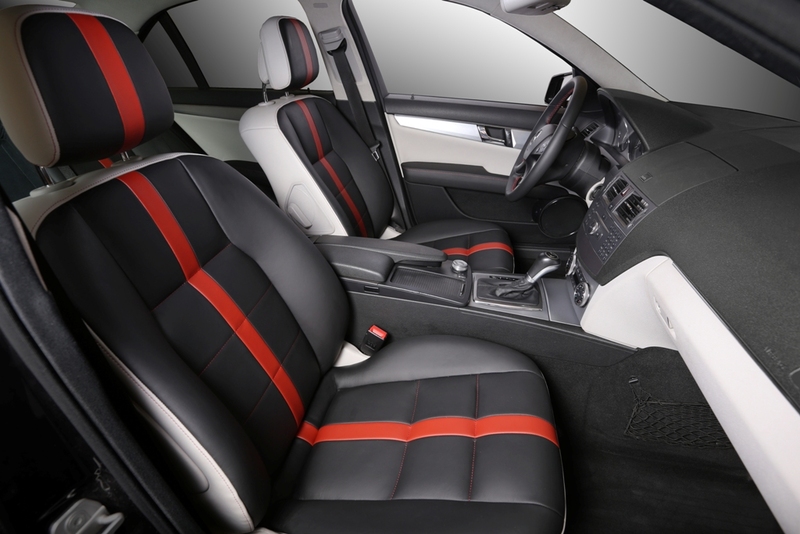 A red leather stripe provides chic and sporty look, matching with a red decorative stitch through-out the cabin. 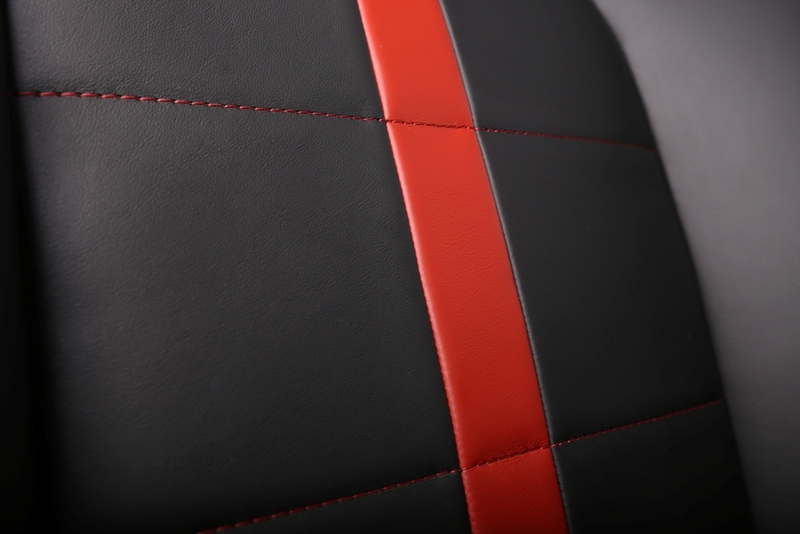 Seat backrests are in grey again with red decorative stitch. 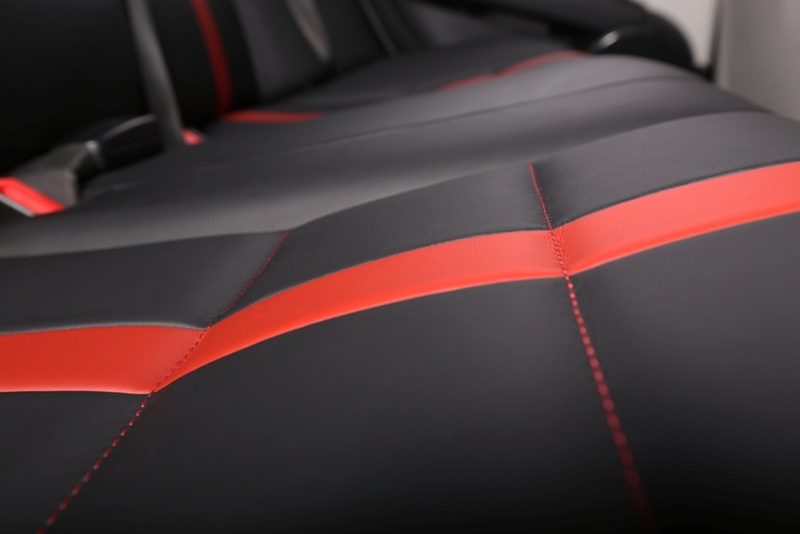 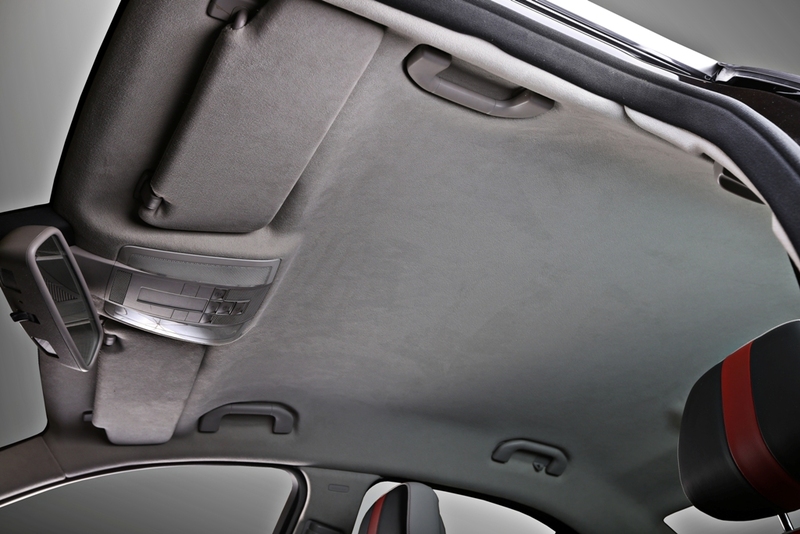 The headliner and pillars are upholstered in matching grey Alcantara. 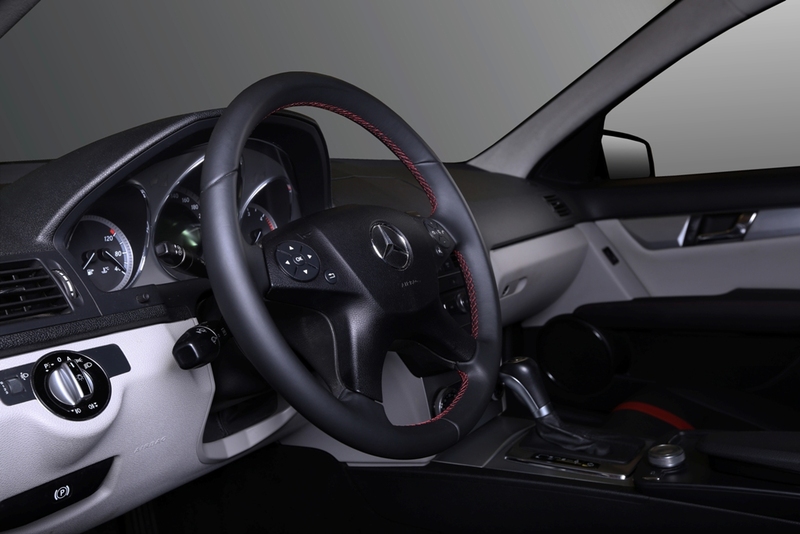 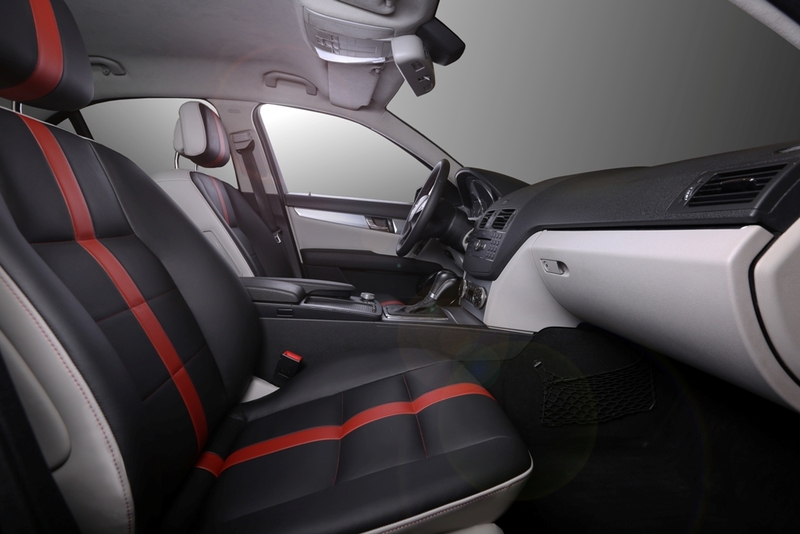 This remain one of the few interior projects of Carbon Motors with no carbon fiber parts.